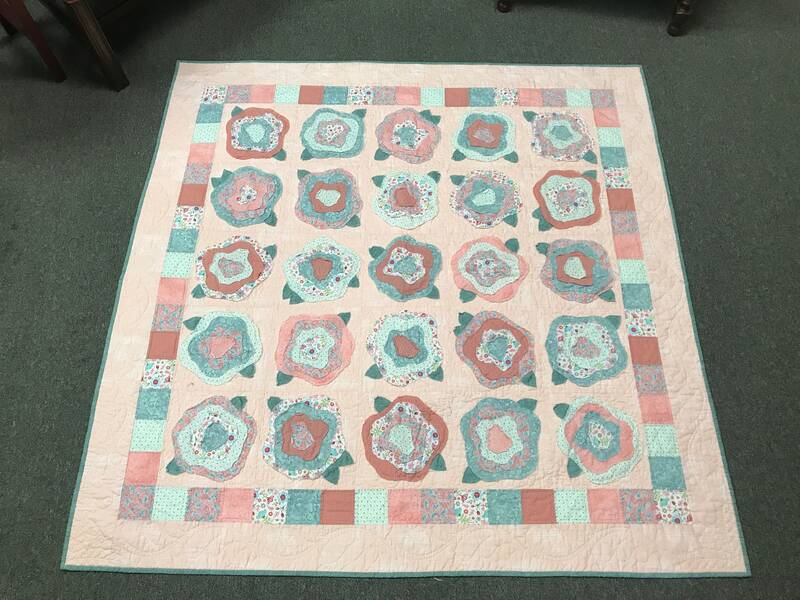 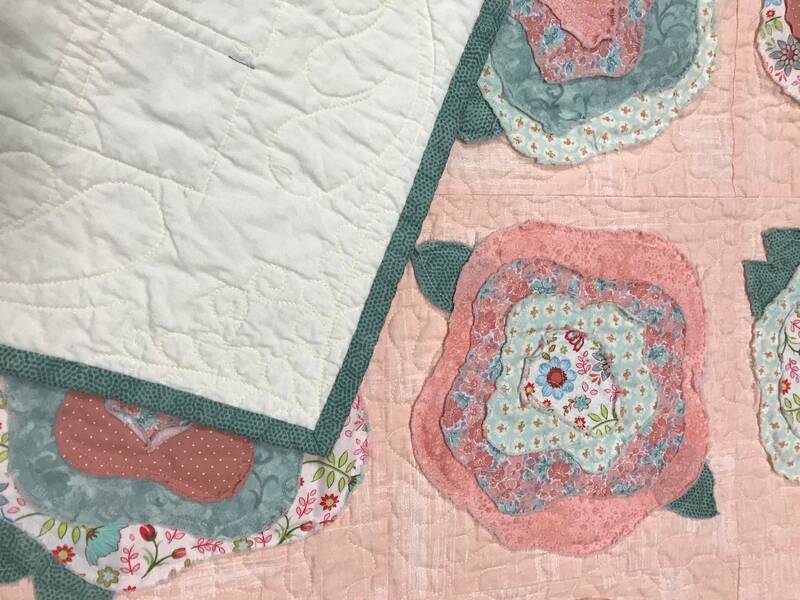 This beautiful French Roses Quilt is 56x56 and features high quality hand quilting and stitching. 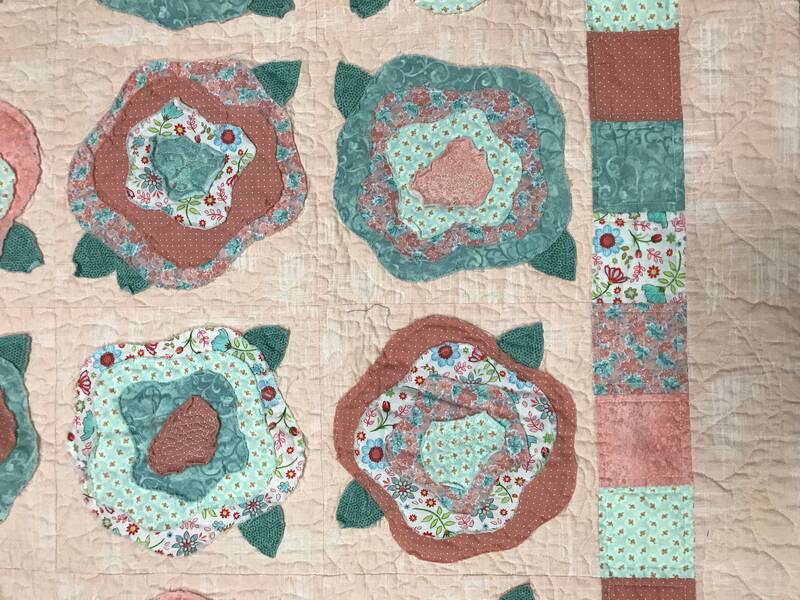 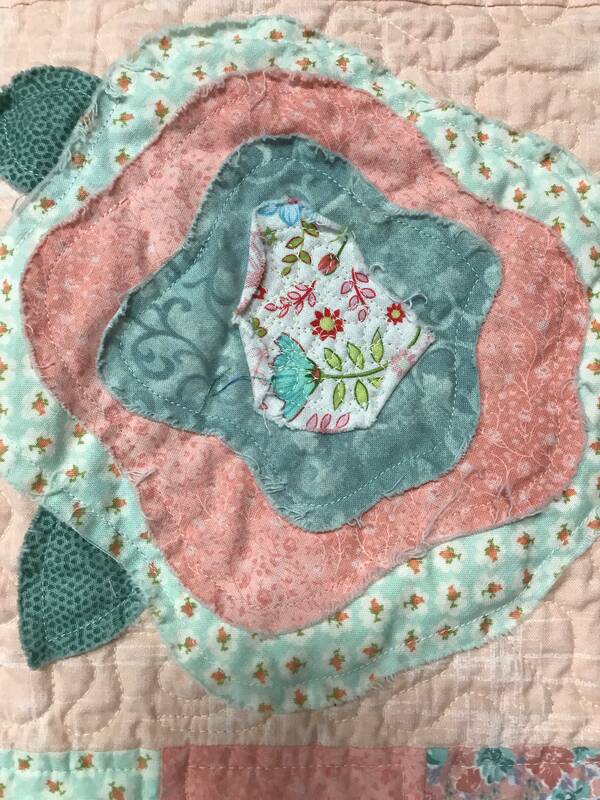 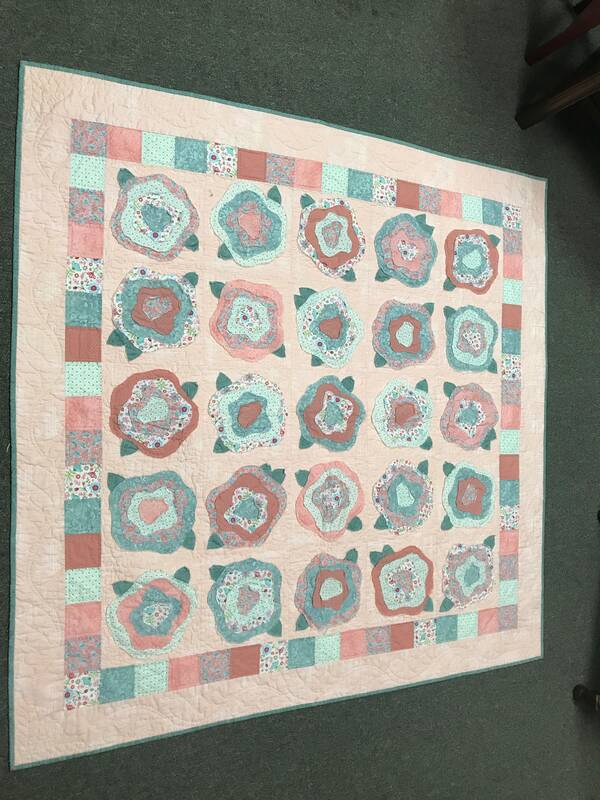 There is attention to detail in this beautiful handmade floral Quilt. 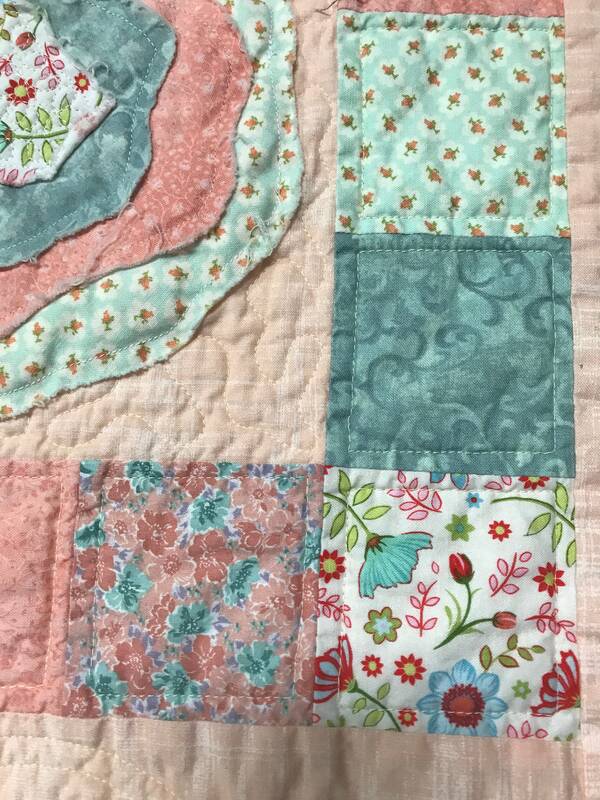 Would make a beautiful Quilt for a guest or children's room. 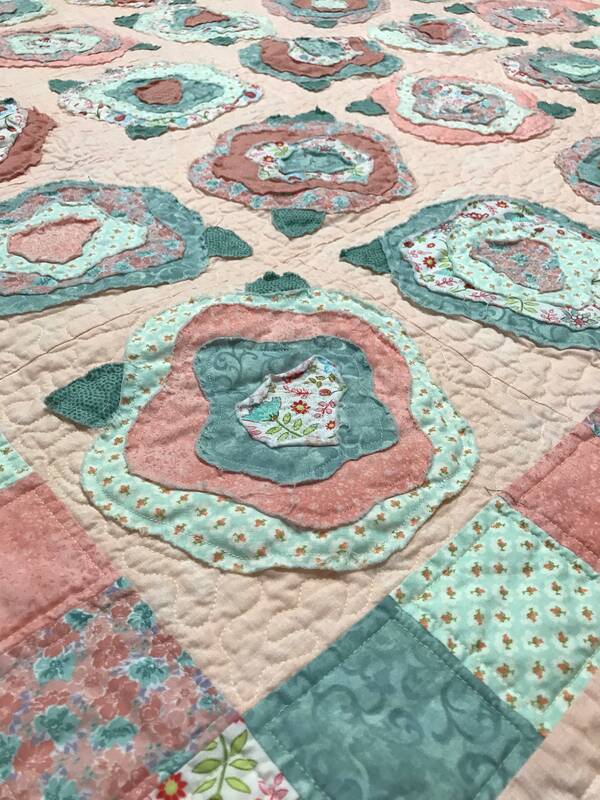 Domestic - we insure and ship via FedEx.